We offer dance classes to children from the age of 3-18 years in ballet, tap and modern. We also now do a parent & toddler ballet class! We have our annual productions around March/April. We also run a 3 year dancers course and a 3 year teachers course - full time study from the age of 16. 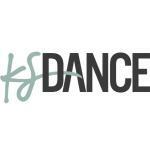 Unit 9a, Centre 21, KS Dance Ltd.